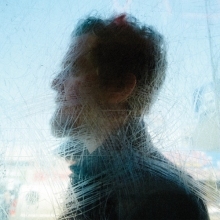 Glen Hansard is nearly universally adored. Critics love him, fans seem to love him. There's one problem. I don't love him. Try as I might I just can't find very much in his music that compels me to listen. In the run up to the September 18th release of his new album Didn't He Ramble, I've chosen to give it another shot. The early returns don't look good. The album opens with "Grace Beneath the Pines", a track with as much melodrama as a late-era Bruce Springsteen number. That's quickly washed away as Hansard provides back-to-back outstanding tracks. The first, "Wedding Ring", is intimate, hushed, and melodic. The second, "Winning Streak", features an uplifting vocal and more energy than I'm used to hearing from Hansard. Later, "Her Mercy" builds slowly until horns punch through to make gaping holes for a powerful Gospel vocal. Americana gets a Celtic twist on the fiddle stomp "Lowly Deserter". Hansard returns to familiar territory as hushed vocals meld with a hypnotic arrangement on "Just to Be the One". Those moments are separated by songs that are, how shall I put it, less than engaging. Tracks like "Paying My Way", "Stay the Road", and McCormack's Wall" fail to live up to the rest of the album. As a result, Didn't He Ramble is a difficult record to make it through from beginning to end. Best tracks: "Wedding Ring", "Her Mercy"